The month of May truly got away from me. Add that in with the last two days of the month being stuck in a car during a cross country road trip and my May Love Affairs never got published! That said I had drafted out a few items, so I didn't want them to go to waste. I love reading more about who you guys all are, and this (plus my concert going adventures) are a way for me to showcase my interests and personality. So without further ado, here's what I've been loving the past TWO months! Ok, I'm a little late to the party here! You see, I had seen roughly a dozen episodes from 2008-2009 and liked them enough. I was even in Manhattan in the summer of 2009 and my now ex and I stumbled across Tracy Morgan shooting a scene when the pages were striking and thought that was pretty cool. The thing with me and 30 Rock is that it never really held my attention and it was just funny enough to watch. I've been a Tracy Morgan fan since he was an underused cast member on SNL and then his Brian Fellow character solidified my forever fandom. I also immediately liked Kenneth the page. But the dumb blonde woman, overworked and under appreciated woman, and alpha male character were all ones I had seen before...which is the biggest thing that turns me off from comedy in that I find absurdity, randomness, and new concepts to be the funniest. (I am admittedly a comedy snob). I hadn't seen an episode since roughly 2010 and finally decided to make it my Netflix relationship in mid-April and finished it in May. Honestly...I almost quit after the first season or two. I didn't think it was bad as much as it just didn't hold my attention for the reasons I stated above (minus "Werewolf Bar Mitzvah"...that was awesome). But with each season I found more wit, more subtle humor, and an unparalleled use of guest stars in these quiet but brilliant ways-- arguably in a way no other TV show had ever done. I fell for Liz Lemmon, appreciated Jenna's insanity, and got on board with Jack's ego because while they at their root are characters that have been seen before, they all have something extra that hasn't been used in characters like that before. 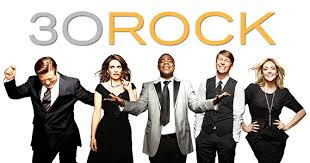 I finally understand why 30 Rock is considered one of the best written shows of all time and I'm happy to admit I was wrong about this show when I first tuned in. I've been on a real poetry kick lately! When I was super young I discovered Emily Dickenson and completely fell in love. I have a book or two of hers, but I'm not sure they made the trek out to Colorado Land with me when I moved several years ago. But lately I've been reading some works from more modern poets, ranging from both the 20th century in various collected works as well as some new poets from the past 10 years or so. I also have purchased a book of some of Maya Angelou's poems and have been thoroughly enjoying reading her work. There's some potentially interesting projects brewing in my world, ranging from comedy to a more delicate art form. They are in their infancy and I have no idea when they will see the light of day, if ever (yikes, I hope not!) but being excited about the beginnings of these has been a super fortunate lot in life to have. And if nothing else, it is proving that I need to keep pursuing creative projects, for work or pleasure, because it makes life worth living for me! This documentary had been in my Netflix que for a minute or two. Now, before I divulge into why I liked this documentary so much I feel a need to show my hand a bit. First off, I believe beauty literally comes in all shapes and sizes. I do not subscribe to the idea that if you are plus sized you are somehow less desirable. Second, my father passed away from obesity and diabetes related reasons. Needless to say, these topics are near and dear to my heart. And third, given that I've battled my own fair share of health issues, researching how to maintain a healthy lifestyle has become an interest of mine. Given so many walks off life read this blog, I thought all of the above was worth stating as this can be a sensitive topic. All of that being said, I have seen most documentaries like this (Food Inc, Fit of a Nation, Forks over Knives, etc) and have read some Michael Pollan books as well as Fast Food Nation. I let this documentary sit in my que because I figured a lot of it would be redundant. In part it was, but I was surprised at how different some of the angles were. I found it to be way more compassionate towards those who are heavier and have unhealthy lifestyle habits, in that it better broke down how there are addictive and hidden ingredients in a lot of our food, how our government doesn't protect us from these, and how hard it is to get away from these foods. It also spoke a lot more to the idea that even skinny people can be "fat on the inside" and how that's just as unhealthy. In short, I found this documentary to be very comprehensive and nothing felt sensationalized...which is a rarity in this genre. I'm a DIE HARD Grace Kelly fan. She has a power over me unlike any other celebrity or public figure and I can't remember a time when this wasn't the case. Just watching the back of Nicole Kidman's head as she walked like Grace off the movie set for the first minute or two put me in my happy place. But then when I saw Kidman's non-Grace Kelly face that stopped, but I'm getting ahead of myself here. I knew this movie was coming out for years and wanted to see it in theaters, but given the conflict with the royal family the release date got pushed back so many times and I stopped paying attention. It showed up on Netflix one day this month and I dropped everything to watch it. Now, I knew this was never going to be my new favorite movies as it was allegedly a slanderous movie, but I'm including this in my love affairs because 1) anything Grace makes me happy and 2) I actually didn't think it was that bad. What I hated the most was that Nicole Kidman was cast in the role. I don't hate her as an actress, but she isn't Grace. During my heart surgery recovery my mom and I spoke at length about how she was wrong for the role and tried thinking up other actresses who could play her better. I'll admit that Kidman got her voice down WAY better than I ever would have imagined, but her paralyzed face and sharper features ruined the illusion for me she was playing Grace Kelly, which is why I hated that she was cast in the role to begin with. In regards to the plot line, I can't speak to the historical accuracy because I do not know French and Monaco history like the back of my hand. But in regards to the relationship between her and Rainier...it didn't seem that off base. Most biographies allude to aspects of what the movie portrayed. And maybe I've read too many books on power, success, and war but I didn't bad an eye at that in house politics and Grace needing to rise above herself and treating her life like a role in a movie for the rest of her life. I have compassion for that, but that's what a lot of successful people need to do, especially if they're in the public eye, so it wasn't super shocking to me. That all said, I can see why their kids didn't want the movie to be made and released. It's not the most romantic portrayal of Grace and Rainier, but it's also not nearly as bad as I thought it may be. Checking Instagram while on the stationary bike at the gym= an amazing thing for my life. And/or reading the news. Seriously, this is a game changing thing I've discovered this month!! I need to start watching Parks and Rec (only seen snippets of episodes). I'm going to try to read more. I would like to do some hikes. What's on YOUR agenda for all things non-fashion related this July? Or what have you loved this June? Any recommendations? Glad you enjoyed 30 Rock and you definitely should start watching Parks and Rec - it is one of the best shows on TV! 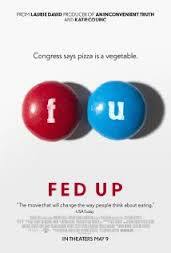 I definitely need to see Fed Up and Grace of Monaco now. I saw the latter movie got bad reviews, but if you're a big fan of Grace and enjoyed it, then I will definitely give it a chance. Thanks for the recs! Thx for sharing with us. I am with you, Kidman is no Grace Kelly, tho. I am a writer, so that helps ;) Thank you, dear! I love and adore Grace Kelly too. She is the epitome of pure elegance for me. I saw this movie was on Netflix and started it. Unfortunately, I fell asleep in a pregnancy stupor haha, so I still need to finish it. That movie with Nicole Kidman sounds great! I'll have to check it out soon. I'm looking forward to more bike rides and beach picnics this summer:) June has been super busy, glad it's over. I hope you get to do that! Yay July!